Lin and Drury  validated two ballistic movement models and suggested these models could have certain benefits for evaluating input devices. Hence, the study aimed at (1) validating the application of ballistic movement models for evaluating computer mice and (2) demonstrating the superiority of this method, compared to Fitts’ law. In a two-stage experiment, four participants used six types of computer mice to execute Fitts-type aiming movements and ballistic movements, sequentially. The measured data were analyzed by Fitts’ law and the ballistic movement models, respectively. The comparison of the results obtained by the two methods showed that (1) ballistic movement models can well fit the measured data and (2) the ballistic movement method can provide independent performance information of “speed” and “accuracy” that is not available by applying Fitts’ law. 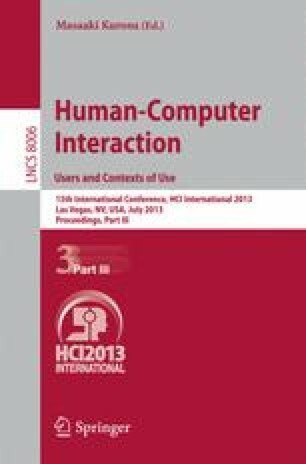 This study demonstrated an alternative method for evaluating computer mice.